This weekend, many preachers will preach a sermon tailored towards mothers. That is wonderful and beautiful. And this weekend, many preachers will follow the lectionary—the Church-appointed scriptural texts that follow the trajectory of the life of Christ. That, too, is wonderful and beautiful. But any preacher in the First World West would be unwise to overlook the fact that Mother’s Day weekend is, in fact, a sort of “liturgical” holiday for the society in which we live. We’ve got it stamped in our collective calendars to take some extra time to celebrate, honor, and remember our mothers. But today I just can’t get it out of my head. I’ve been thinking about the pain that so many will carry into the sanctuary with them this weekend. So how do we lead our services and preach to those for whom this weekend elicits the kinds of emotional-and-relational groans that words just can’t express? There will be people in your congregation whose mothers have died. On a day where so many are dressed up and smiling and taking pictures and celebrating by giving flowers, let the grieving know you’re so very sorry for their loss. Let them know that you’re sad there will be an empty seat at the table at lunch. Let them know that you’re praying for the comfort of the Lord to wash over them this weekend, and that you’re praying that the memories and moments of joy, laughter, and delight that they shared with their mother—the bedtime routines of reading, back-scratching, and lullaby-singing, the family vacations, the holiday cooking, and the many happy Christmases together—would come rushing back to mind. Let them know that you sincerely stand with them this weekend as they grieve, remember, and work to hold on to those delightful moments. There will be moms in the congregation who have had children die–from miscarriage and stillbirth, a prolonged sickness, a heart-breaking and accidental death, suicide. Their will be women who have aborted. Their children are all they can think about on days like this. And though there is nothing we can say or do to remove the sting of loss, can we give them a place to remember and grieve, a place where they can feel the strength and support of the congregation of believers? There will be women in your congregation who desperately want to be moms and it just hasn’t happened yet. There are those who have visited fertility specialists, spent incredible amounts of money (that many of them have taken out loans to acquire), and, still, they lay in bed at night without a child developing in their wombs. Many of them are pursuing adoption, only to hit the same wall of financial difficulty. Will you say something to them that acknowledges that pain? And then there will be others who come to worship with you who grieve. Yes, while many women have joyfully taken “holy orders,” have embraced the holy vocation of a life of singleness—and I call it holy because I believe it to be precisely that!—there are just as many (if not many more) that presently mourn their singleness. They want to be married and they want to have children, but it just hasn’t happened yet. What if we took the time to let them know we see them, we hear their cries, and we genuinely stand with them for the desires of their hearts to be fulfilled? There will be people in your congregation who have sorrow because life was difficult with mom. Maybe it was a drug addiction that stole their mother away from them; maybe their single mother was scrambling so much to keep the bills paid—nobly working 2 and 3 jobs—that they never had the gift of much face-to-face interaction; maybe the attention they got was the attention they never wanted—physical abuse and loud screaming. Preachers, will you take the time—even if it’s just 15-seconds that helps them feel seen—to give voice to the guttural cry that’s resident in so many hurting children? And will you also help them lift their heads to the God Who nurtures, cares, feeds, addresses, and loves us? The prophet Isaiah (49:15) presents us with a God whose love far outstrips even the gentlest, most nurturing breast-feeding mother. I pray that people leave our churches this weekend having encountered such a God. There will be people in your congregation that have caused deep grief for their mother. Many of them have ignored the sins of the past and failed to apologize and repent to their mother. If Proverbs 10:1 is true—that “a wise child maketh a glad father, but a foolish child brings grief to a mother”—then the next right thing to do is to repent. Will you challenge people in your congregation to make things right with mothers (with parents!) that are still alive? To pick up the phone, to buy the plane ticket to go out and make things right? And will you comfort the people in your congregations that carry shame from their grief-inducing offenses committed against their deceased parents? For, indeed, as the prophet Micah said, we serve the God who has “compassion on us; [He] will tread our sins underfoot and hurl all our iniquities into the depths of the sea” (Micah 7:19). Pastors, please hear me. I’m certainly not suggesting that these five things are mandatory to address this weekend. Not in the least. But if our services this weekend are only happy and upbeat and tailored to moms for whom life seems to be working at the moment, then we risk alienating and overlooking so many tender hearts that will be in the room. If we are called to preach the good news to human beings living in God’s good world that has been severely marred by sin and pain, and if it’s true that Mother’s Day elicits a wide range of emotions within people, then we ought to work to anticipate what those emotions are and do our best to proclaim a word of Good News that brings hope to people right where they are. Bedtime at our house is something. Often the event that it most closely resembles is the moment a bunch of wild convicts attempt a jailbreak. Or, more innocently, it is probably not unlike a bunch of baby chicks trying to escape the walls of their little hot-lamp-heated enclosure, as if they’d know what to do with themselves if they got out. You get the point. Mayhem. But as often as we can we try to redeem bedtime, as often as we can make it meaningful, we try to craft a moment that our children get caught up into. I read a long portion of the Narnia series to Wilson, our 6-year-old boy. And I went for it—made-up-voices with wild inflection, a quickening pace before pulling way back into a painfully long, dramatic pause. Total silence. There were a couple moments of uncontrollably gleeful yelling from him as I pulled taut the stunning string of fantasy that C.S. Lewis left for us. I could see it in his eyes. I had him. For 15 minutes he was utterly absorbed into a different world. Then Lisa, my wife, and the one who keeps our family so beautifully in sync, took over with the boys while I went in the room next door to read to our 8-year-old daughter, Lillian. I read her the story of Elijah and his interaction with the widow of drought-stricken Zarephath in 1 Kings 17. I let her tease out how it might have felt to be that widow that day, and then she starting making the connections of other stories where God seemed to be asking so much of people just before sneaking up on them with goodness. I could feel it—this was shaping up to be the best bedtime routine we’ve had as a family in recent memory. This is my daughter, whom I love; in her I am well pleased. This is my daughter, Lillian, whom I love; in you I am well pleased. I told her this is what the Father proclaimed over Jesus, the Son, at his baptism and that He was saying it about her right now in this moment. And that He’s perpetually saying it about her, even when she doesn’t hear it or feel like it. I kept saying the phrase as I wove in other prayers about third grade beginning, and about her flourishing in her studies, and about nurturing great friendships, and about the joys of starting soccer practice. Then a goodnight kiss. She was at peace. She was ready for sleep. Then I ran into Wilson’s room and lay down next to him. I started praying over him and pronouncing blessing and peace, and then I launched in. This is my son, Wilson, whom I love; in you I am well pleased. You are a son of God, Wilson, and the Eternal Father is wildly interested in you. You are never out of his thoughts; you are never out of his sight; your existence is an existence defined by His sheer determination to love you, to keep you, to lead you, to hover over you with his delight. I felt his tense little body slacken and settle into peace, and he grabbed my neck and whispered his love for me. It was the kind of moment I’ll always carry with me. That’s how humans were made to go to bed. Interestingly, our Jewish brothers and sisters conceive of a day much differently than a Westerner might. In Judaism, the day begins at sundown. In this paradigm the day begins slowly because it is evening. Let’s eat a leisurely dinner. Let’s sit around and talk. Let’s go on a walk, and then after that maybe we’ll read a book. Evening. Now we are tired, so we should go to bed. It is evening, after all. The Jews see themselves first as receiving beings; the doing comes last. All human work is responsive. God initiates. The very way “time” works for them is instructive—we start our day by receiving daily bread and the good gifts of friendship and intimacy. Then we go to sleep. The very last thing we do is work, which is, of course, our joyful and proper response to such a gracious God. And we’re ready for it because we’ve just woken up from resting in God’s love. As I type this, it is 10:28 p.m., which means it is time to fall asleep. So many people will be tempted to see this as the end of their day, and they’ll struggle to rest because while they sleep the world may just race by them. They may wake up having lost ground, which is how the Fear taunts them. But as you lie there in bed, the day is just beginning. “In the beginning God.” And while you fade into sleep, there is a world of blessing, the Father’s pronouncement of delight and acceptance and pleasure swirling about you. As the psalmist put it, “The LORD who watches over Israel will neither slumber, nor sleep.” So go to bed. God stands at the ready, he’s on the job so you don’t have to be. And take an extra 10 minutes to listen. The Father is there with you, praying over you. You are my child, whom I love; in you I am well pleased. Can you hear it? Will you stop long enough to receive it? Because it’s happening, it’s being pronounced, it’s poised to wash over you. If you’ll just let it. John 12:23 And Jesus answered them, saying, The hour is come, that the Son of man should be glorified. 24 Verily, verily, I say unto you, Except a corn of wheat fall into the ground and die, it abideth alone: but if it die, it bringeth forth much fruit. 25 He that loveth his life shall lose it; and he that hateth his life in this world shall keep it unto life eternal. 26 If any man serve me, let him follow me; and where I am, there shall also my servant be: if any man serve me, him will my Father honour. 27 Now is my soul troubled; and what shall I say? Father, save me from this hour: but for this cause came I unto this hour. 28 Father, glorify thy name. Then came there a voice from heaven, saying, I have both glorified it, and will glorify it again. 29 The people therefore, that stood by, and heard it, said that it thundered: others said, An angel spake to him. 30 Jesus answered and said, This voice came not because of me, but for your sakes. 31 Now is the judgment of this world: now shall the prince of this world be cast out. 32 And I, if I be lifted up from the earth, will draw all men unto me. 33 This he said, signifying what death he should die. find they’ve pierced their own souls in the cutting. Find they’ve found a life that will never run out. This last Sunday as I was in the church foyer, a South Korean friend of mine came up to me for a chat. I’ve known and worshipped with her for 10 years, so this was nothing out of the ordinary. She’s every bit of 75 years old and no more than 5’0’’ tall. This particular Sunday she was wearing one of those big, Russian fur caps with earflaps that tie above the head or under the chin, and a long winter coat. It’s cold, so I hugged her tight and thanked her for the lovely Christmas card. But talking to her this time was different. In her scratch English she told me a story I had never heard before. It was somewhere around 1990 and our church had just bought a piece of ground to build a sanctuary. A place to put down some roots. Up to that point we had hopped around from place to place, worshipping wherever we could—a year here, three years there. A basement. An old hotel ballroom with threadbare carpet. A commercial space situated between a bar on one side and a liquor store on the other. Wanderers, probably more like the children of Israel than we could ever know at the time. But not anymore! That was all going to change now. Foxes have holes, and birds have nests, and now, by the grace of God, we’ll have a place to lay our heads! But this is where her story stopped me in my tracks. She told me about a group of people that would meet at the newly purchased land at 4 a.m. every morning to pray. She told me that they’d walk the whole plot of ground and how many of them would lay in the dirt field, in this undeveloped and up-to-this-point outskirt-ish part of town, and cry out to God to make it a place of salvation and healing, of restoration and joy. A place where the lonely would be set into family, where the overlooked would be situated in the center of God’s love as demonstrated by this group of people. They lay in the field…on clods of dirt…in the darkness that accompanies 4 a.m.…and they prayed. Holy people on holy ground. When I heard that all I could think was, Someone has got to thank these people! I pulled her close and wrapped my arms around her. I thanked her for her prayers those many years ago. Then I started thinking, We’re all here today because a bunch of people took God seriously and prayed resolutely. To Ted and Gayle Haggard, our founding pastors, who had the guts to pray and fast and seek the Lord for what He was saying, and who had the gritty faith to leave the life they had known in Baker, Louisiana to plant a church in Colorado Springs, thank you! We live in a world that often remembers people for their worst moments, but when I think of you I can’t help but thank God for the enduring gift you have given so many people, myself included. To every person at New Life Church, past or present, who has ever devoted a moment of your time to serve another person in the Name of Jesus, thank you. You may have been setting up chairs or making a hospital visit; you may have been opening your home to share a meal or caring for small children as their parents were hearing the word of God; you may have been vacuuming the floors or praying for someone that sits in the row behind you, but whatever you were doing “for one of the least of these, your brothers and sisters,” you were doing it unto Jesus himself. To every person at New Life Church, past or present, who has ever given a dollar when the little white bucket was passed, thank you. It has become easy in our day to be skeptical about “the offering plate,” but something spiritual and instrumental happens in a moment of sacrificial giving. It’s one of the ways we worship, and it’s a form of worship that does something—namely, it makes feeding the hungry, clothing the naked, and housing the widows and single moms of our city possible. It makes it possible for us to host and officiate funerals for people who’ve never set foot in our church, but who need to be dignified and remembered in the moment of death. To Brady and Pam Boyd, our senior pastors, who obeyed God and showed up here not having known a single person, who were yet willing to do the hard work of giving your lives here for the sake of a congregation you would grow to love and who would grow to love you, thank you. You’ll probably never know the mark you’ve made on our church and our city. To every staff member, to every elder, to every family, to every hospitality worker and parking lot attendant, to every usher and greeter and café server, to every bookstore worker, to every band or choir member, to every person that’s ever served in the children’s ministry, past or present, who has taken God seriously and prayed resolutely for God’s kingdom to come and his will to be done in Colorado Springs as it is in heaven, thank you. To God, who alone deserves all glory and honor for everything good that’s happened at New Life Church over the last thirty years, we give thanks. It’s midnight, and my wife and three kids are sound asleep. Another Sunday night walk is in the books. I’m a pastor; that’s what I do. Yes, today was the day, the Lord’s Day, the one day each week when Christians from the four winds of our city come together in the same place. And while we know we’ve been sent by the Spirit into our city to be poured out, we also believe a weekly infilling precedes any over-brimming; giving is only made possible by first having received; a herald is only as good as what she has heard. So today a group of us gathered at New Life Church to lift our voices to God in praise and thanksgiving, and to feast on the Scriptures. 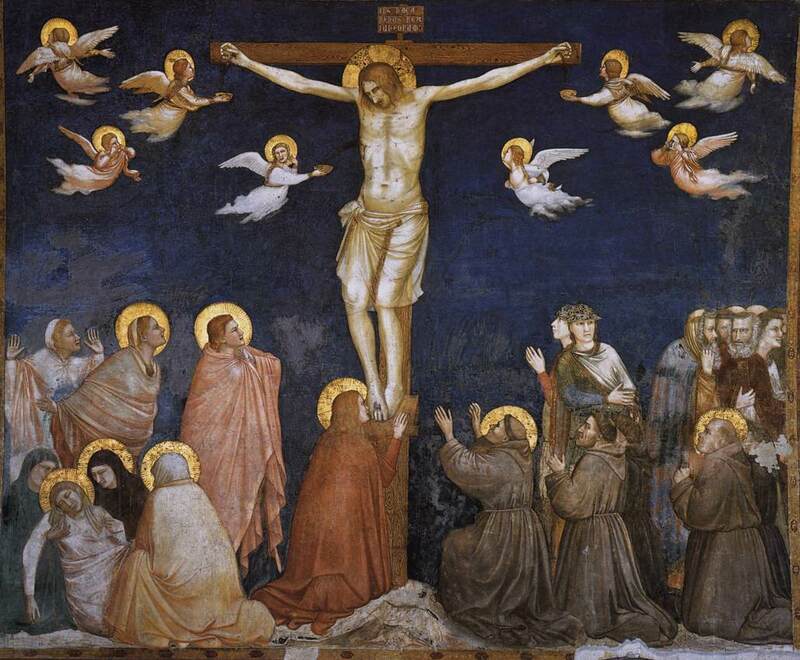 We came to confess our sins, getting rid of the very poison that, if left unchecked, neutralizes the nourishment found in the sacrifice of Jesus, his broken body and shed blood. And right before we left, we heard the Benediction, the weekly now-get-back-out-there-and-go-for-it-because-you’ve-been-empowered-by-the-Spirit prayer of blessing. And that’s why I went on a walk. Because with so much beautiful activity crammed in the span of just a few short hours, I have found that a walk is about the only way for me to begin to absorb it all. On this particular Sunday night walk, I thought about a friend who I saw today at church. He’s in his mid-sixties, has an advanced post-graduate degree with a long, successful career that followed it, and just over a year ago he was running long distance races. Today at church he sat slumped in a wheelchair, depleted of energy, barely able to speak, and suffering from a mysterious condition that doctors haven’t been able to diagnose. He insists on coming to church, and he insists on being wheeled down front to the altar for prayer after every service. I thought about his darling wife who faithfully gets him up every week, shaves his face, dresses and feeds him, and loads his handsome 6’5’’ frame and his wheelchair in their tiny car to come worship Jesus. I thought about the privilege of being asked to wheel him down front for prayer, and the privilege of wheeling him out to his car after we were done. I thought about the privilege of him wanting to expend the little energy he has talking to me about the fact that we both played college basketball, separated by a span of thirty-five years. I thought about the vulnerability it must have taken him to ask me to lift him into his car, and the gentleness that comes with having to have someone buckle you in your seat. And when I had buckled my friend in his seat, I hugged him and kissed him on top of his bald head. (Remember, the feeble need affection in a most pronounced way.) I told him that I’m honored to go to the same church as him. I told him that he’s an example for us all of what it means to live faithfully. I told his wife that she’s as sweet as they come, and that any of us would be lucky to have someone as gracious as her, and that the Lord couldn’t be any more pleased with her life of generous service to her husband. Then after pondering all that, as I was nearing the end of my late-night walk, it hit me: How sad that people willingly choose to forgo a gift so beautiful as the church. Come to church, friends. And keep your eyes open, because if you do, and if you have even the slightest bit of imagination, you’ll see the blazing beauty of God on full display. Sometimes it’ll be wrapped in frailty, transported around by wheelchair, and sometimes it’ll be gleefully running the aisles in the faces of little children; sometimes the beauty will take the form of bold and sacrificial giving, and other times it’ll be heard in the elemental cry to be known and loved. But beauty you will surely find in the church. For if Jesus has made her his Bride, she must be some kind of special. This morning I awoke to an unexpected gift: a gentle rain and 40-degree weather. 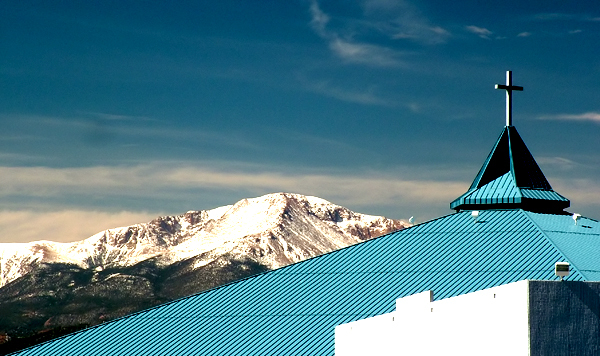 Pike’s Peak, the dominating feature of our city’s landscape, was nowhere to be found. Like children tucked under the bed sheets in a game of hide-and-seek, Pike’s was tucked away under the cover of a low-lying fog. This may not sound like a big deal to most people, but for one living in the drought-stricken high desert of nearly 7,000 feet, rain is always received with great joy. Water is never taken for granted. The shift in weather had me pondering a common thread of human existence: difficulty, hardship, suffering, pain. One of the unique features of being a pastor is walking so regularly and so closely with people through the sweltering “summers” of trial and hardship. Praying with people as they grieve the loss of the family business. Mourning the unexpected death of a child. Listening to a daughter who has lived for 10 years under the cruelty of an abusive father. I’ve witnessed plenty “summers” of deep sadness. And then, at some mysterious moment in time, I’ve noticed people in grief get up one morning and walk outside to find that there’s something of a reprieve from the heat of hardship, like that first morning when Fall barometrically announces it’s arrival. There’s a crispness in the air, a fresh wind blowing, a Presence that would have us know that there is newness coming. A Voice announcing, It will not always be this way. And that’s what I found this morning when I woke up—an announcement: it will not always be this way. There is newness on the horizon. Fall arrives every year as a rebuke to Summer’s unremitting desire to scorch. Fall serves an eviction notice to something that is good, but only good for a season. “To everything there is a season”, cries Qohelet. God in the weather. God in the changing seasons. God escorting out the heat that, if left unchecked, gets unbearable. God telling good stories about his faithful love in the earth’s yearly dance around the sun. God gracing and kissing the ground with water again. God brooding over the foggy mountains. God blowing in the trade winds. It will not always be this way, says our Lord the Spirit to all those who are crushed in spirit. So we pray today for those running through the scorching Iraqi, Syrian, Lebanese deserts…a reprieve from the frantic running-for-your-life existence you’ve known. It will not always be this way. We pray today for those wracked by the Ebola virus…a shift in the winds, a healing of the land. It will not always be this way. We pray for the elderly who are in pain and waiting to enter into their long-awaited rest…a fresh watering. The Spirit is moving in with the clouds to brood over your lives. It will not always be this way. We pray for the orphans on the run through the Burmese hillsides…may you find green pastures, quiet waters, and restoration for your souls. It will not always be this way. We pray these things in the Name of Jesus Christ, who came to announce to a fractured world, It will not always be this way.